Florida Gators safety Amari Burney during the first half as the Florida Gators defeat tne Idaho Vandals 63-10. Gator Country photo by David Bowie. Transitioning to a new position can be an intimidating thing, especially in college. Some guys have played the same spot their entire life, and making a move means starting all over again. But for Florida Gators linebacker Amari Burney, it’s just a new challenge. 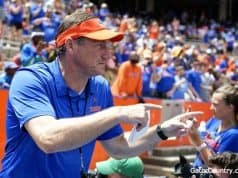 The sophomore is still listed on the roster as an athlete, but he came to Florida as a safety and looked to be primed to take over the star position when Chauncey Gardner-Johnson left. Instead, the Gators put Trey Dean there and saw Burney as a better fit to replace Vosean Joseph at middle linebacker. 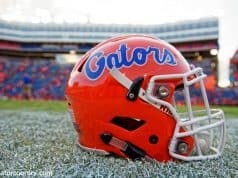 Florida’s coaches did a trial run with him at linebacker in the final two games last season against FSU and Michigan. Obviously, they liked what they saw. He made some eye-popping plays, including a sack in the blowout Peach Bowl win. Burney is so versatile, he could probably play most anywhere on the field if the Gators needed him to. Defensive coordinator Todd Grantham just thinks the move made sense to get the most out of his skill set. Playing linebacker wasn’t completely uncharted territory for Burney. He’d played there some in high school, but he had a lot to learn (and still does). That’s where the veteran leader comes in. 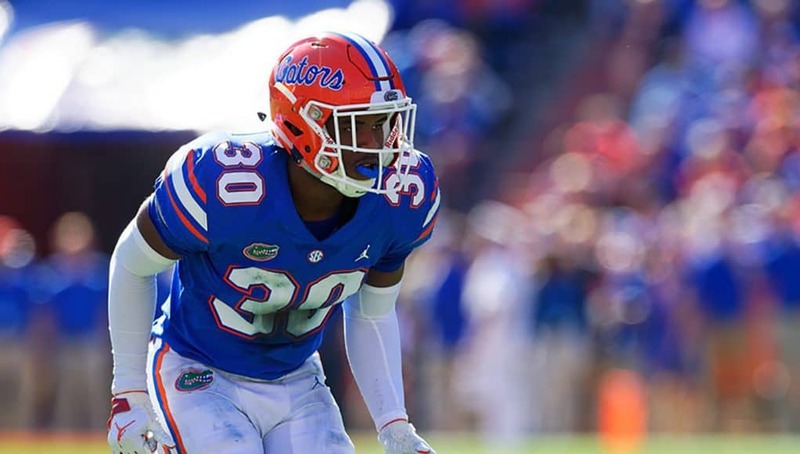 Senior David Reese knows just about everything there is to know about Florida’s defense. 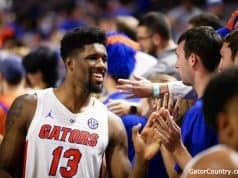 He’s got a lot of experience under his belt, and he’s the guy the Gators look at to be that steady presence on the field. Since his move, Reese has tried to take Burney under his wing. While Burney is still navigating the change, Reese is almost always talking to him before the snap, telling him where he needs to be and what he needs to do. The coverages come natural to him, but reading the tackles and other idiosyncrasies of the position are still a work in progress. Having someone like Reese to help him along the way has made it a much smoother transition. Burney still has the entire summer to get the kinks worked out, and once he does, he’s going to cause problems for opposing offenses.